Working in teams is common practice in the business world. Almost every job ad lists “teamwork” as a required skill from prospective applicants. In the context of projects, an individual can’t do all the work alone, but needs to work with others to be able to complete the project successfully. Teamwork has its advantages, but also disadvantages, which is why some employees have reservations towards it. Teamwork means that several people are collaborating in order to reach a common objective. This can be temporary, but it can also be for an indefinite length of time. 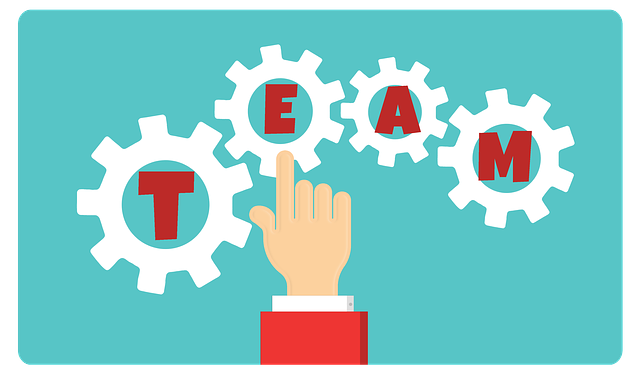 Temporary teams are, for example, project teams. Since a project is only a temporary endeavor, the project team disbands after its completion. Working on projects is often done parallel to the normal workload, and thus represents a double burden for the employees. Traditional work teams, however, are a part of the existing organizational structure. They can be structured along functional and departmental lines. The collaboration can take place in the same location or geographically dispersed (also called a virtual team). The biggest advantage of teamwork is that there is an exchange of different knowledge and skill sets, which can achieve or enhance synergy effects which an individual can rarely do. Furthermore, it is a form of division of labor: the team members can divide extensive tasks, so the workload of the individual members decreases which in turn increases their motivation. But teamwork does not necessarily improve the performance of each person. A typical phenomenon, which often appears in bigger groups, is the ‘Ringelmann effect’. This effect describes the fact that individual team members unconsciously hold themselves back in group settings, consequently performing worse than they would have alone. Also, teams shouldn’t be too big, so that the performance of the individual is still visible. This can contribute immensely to their appreciation of their own contribution to the project and, as a result, they are more encouraged to do a good job. Still, in most projects it is not as bad as it appears to be: work packages and milestones help with continuous performance assessments, which makes it difficult for “slackers” to get away with it. Another problematic effect of working in groups is the so-called ‘Groupthink effect’. Psychologist Irving Janis developed this concept and describes it as the alignment of our own opinions with the expected opinions of the group, in order to reach a consensus. Individuals often make different decisions in group situations than they would have in a solitary one. Opponents of the predominant opinion do not stand up for their own opinion, but restrain themselves to preserve the peace within the group. Naturally, this phenomenon accelerates the decision making process in many cases, but it can also cause damage to the quality of the decisions. As this phenomenon appears more often in homogenous groups, you should always make sure that your team is as diverse as possible in order to get diverse opinions and increase creativity. A reason for the reservations towards teamwork is the competitiveness. Working together with others should be about reaching joint goals and not about outperforming others. Supervisors should always make sure that they reward actions that benefit the team and sanction selfish decisions that do not benefit the group. Most job advertisements require applicants to be able to work in a team. But does that really mean that working in a team is better than working alone? As in most cases, there is no definite answer for this question. In some cases, it is indeed better to work alone. For example, when a task requires a lot of professional expertise, but also when it’s a routine task. You can also do tasks that don’t need the buy-in of others independently to save time. Teamwork can often produce „alphas“ in the group and that can cause the more introverted members to hold back and contribute less input than they would if they were working alone. A good solution here is to prepare for a group brainstorming session with individual brainstorms, in which every team member collects their own ideas and then presents them to the other members. This way, you can combine teamwork and individual work and increase productivity. Remember to keep the size of the group as small as possible to facilitate communication processes. Ideally a group should have four to seven members. A team leader directs the group and is the person the team members can turn to if they have any problems. Teamwork: Better Together or Better Alone - InLoox • Copyright 1999-2019 © InLoox, Inc. All rights reserved.